You are currently browsing the tag archive for the ‘The Lord’s Prayer’ tag. The Lord’s prayer is a happy prayer. When I pray it and meditate on it I am filled with joy because it is filled with good things. God wants us to ask him for good things. Most of the Lord’s prayer is about asking God for stuff. There was a time in my life where I stopped asking God for stuff. I stopped praying for people. I figured that God is sovereign and all powerful and all knowing and full of love a and that he would handle all situations and circumstances perfectly. I thought it ridiculous to think that God was up there on his celestial throne waiting for me to send up a prayer before he would act. “You know, I was planning on healing George of his cancer, but Santiago never prayed for him, so poor old George died.” I didn’t think God needed my prayer before he did the right thing. And I was right. He doesn’t need my prayer. I need my prayer. I finally realized that by taking a good look at the Lord’s prayer. Most of the Lord’s prayer is petition. Not adoration or thanksgiving, but petitions, requests. I need to ask God for stuff, for things, for help, to remind myself daily that I am totally dependent on God for everything! For all my physical needs and spiritual needs. In the Lord’s prayer I am reminded over and over that God is good and loving and wants me to be happy. 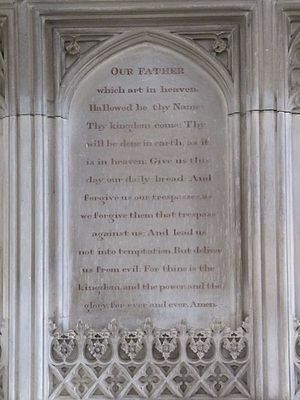 The Lord’s prayer starts off with “Our Father” and a bit later “thy kingdom come”. The first piece of happiness we find is that our Father is the king. As a youth I went to Bible camp every year in the mountains of Colorado. One year the guest speaker was from Tennessee. He had never seen the Rocky mountains. One day, on a hike he stopped and exclaimed, “My daddy made those mountains!” Sometimes I want to stop and exclaim with joy, “My daddy is the king!” The Lord’s prayer is part of the sermon on the mount where Jesus has been mentioning the kingdom. He began His ministry proclaiming the kingdom of the heavens or the kingdom of God. In the Lord’s prayer we happily discover that our daddy is the king. In context of “thy kingdom come” Jesus gives us the first thing that we should ask for. The most important happy thing that we should ask for. “Thy kingdom come, thy will be done, on earth as it is in heaven.” When you think of heaven, do you think of sadness, misery, and pain? Of course not. We all think of a joyous existence where we delight in the presence of God and his will being done perfectly. God’s plan from the garden of Eden in Genesis to New Jerusalem in Revelation, is for people to experience unbelievable happiness because they are are doing his will. In this petition God not only invites us to enter into his joy, but as individuals and as the body of Christ, to bring this joy to a hurting world and thus grow the kingdom of the heavens. As Jesus further instructs about things to ask for, he seemingly moves from the most important thing to the most mundane. 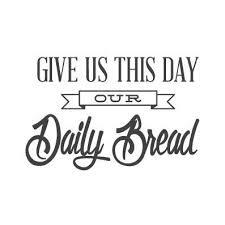 “Give us today our daily bread.” I would venture to guess that most of us rarely if ever ask God to supply our bread for the day. One reason we don’t ask for that is because in our innermost being we think we are self sufficient. We think we can handle that one on our own. The reality is that we can’t. I was reading Moses’ speech to the Israelites this morning in Deuteronomy chapter eight. Moses told the people that it is God who gives you the ability to produce wealth. 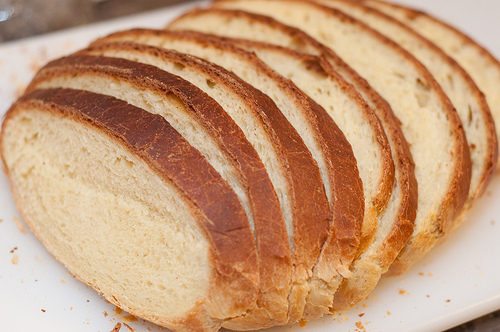 Who gave you the ability to earn that paycheck that enabled you to buy your bread (which is symbolic of our daily needs)? Where did you get the physical and mental ability to work, make money and buy food? God gave it you and me and all of us. 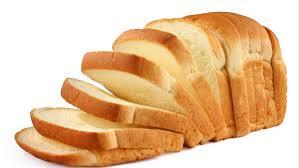 So when we pray for daily bread, we are praying for God to maintain and grow our physical and mental abilities. Here at the home for needy children in Mexico, that petition takes on a different flavor. We depend on the generous gifts of faithful supporters and friends for our daily bread, or daily tortillas, as the case may be. While we always give thanks before each meal, we rarely ask God corporately to supply our food. It is a different story in the accounting office. Those who look at our daily financial records, daily ask God to supply our needs. God answered those prayers in a special way a couple of weeks ago. We went to a store where we regularly buy food, and they donated a lot of juice and crackers to us. After that we went to the fruit and vegetable market and a complete stranger saw our van saying that we were from Christ For The World, Home For Needy Children. He came over and gave us four boxes of fruit. The next day a big truck from a governmental social service agency showed up unexpectedly and unloaded the largest food donation we have ever received. Huge bags of rice, beans and lentils. Cases and cases of milk and tuna. Our pantry, which had looked like old, Mother Hubbard’s cupboard, was now stocked with enough food to last us six months. Everyone rejoiced and was glad for God’s incredible provision. Indeed, everyone who has food to eat and water to drink should happily rejoice in God’s faithful and miraculous provisions. Now Jesus moves from our most basic physical needs, to our most basic spiritual need. Forgiveness of sin. “Forgive us our sins, as we forgive those that sin against us.” The angel told Joseph to name Mary’s baby “Jesus” because he would save his people from their sins. Peter told Cornelius in Acts 10 that everyone who believes in Jesus receives forgiveness of sins through his name. Paul told the Romans in chapter four that Jesus was delivered over to death for our sins and raised to life for our justification. In Galatians one, Paul told his readers that Jesus gave himself for our sins to rescue us from the present evil age. The author of Hebrews says that Christ was sacrificed once to take away the sins of many people. John proclaims to his audience that Jesus appeared so that he might take away our sins (1 John 3:5). The one teaching on the mountain about forgiveness, was the one who died on a cross so that such forgiveness of sin could be possible. So what’s the big deal with sin? Nothing much, except that it causes a lot of pain, suffering, separation from a right relationship with God, turmoil in relationships with others, anxiety, guilt, depression and dysfunction, just to name a few things. We are saved from all that when we do two things. One ask God to forgive us of our sins, and two, we need to forgive others who sin against us – people who have hurt us, physically, mentally or emotionally. 1 John 1:9, and Jesus’ parable of the Unmerciful Servant in Matthew 18:21, shed a lot of light on the concept and reality of forgiveness. With our sins forgiven, our relationship with the Giver of Joy is made whole, and our souls are filled with a whole lot of happiness. The final two things Jesus tells us to ask for, is that God, our Father, lead us not into temptation, but deliver us from the evil one. When I think of God leading us into temptation, I am reminded of the movie DodgeBall, where Dwight Goodman, the muscle bound owner of GloboGym, was waving a chocolate donut in front of his face, saying to himself, “Go ahead. Eat it. You know you want it.” He goes to take a bite of the donut, and about the time the chocolate delight touches his lips, he presses a button that sends an electric jolt into his body. God is not in heaven, dangling an enticing temptation before us, waiting for us to succumb, and then gleefully sending a lightning bolt our way as punishment. It is more accurate for us to pray that God would save us from the time of trial, because in times of trial we are tempted to sin by getting angry, or frustrated or worried or worse. Dallas Willard writes in The Divine Conspiracy that “this request is not just for evasion of pain and of things we don’t like, though it frankly is that. It expresses the understanding that we can’t stand up under very much pressure, and that it is not a good thing for us to suffer. It is a vote of ‘no confidence’ in our own abilities. As the (Lord’s Prayer) begins with with the glorification of God, it ends with acknowledgement of the feebleness of human beings.” I will be the first to admit I am feeble and I will be the first to thank God and rejoice and be happy that He regularly saves me from the time of trial. “Deliver us from the Evil One.” The Evil One is Satan. The Bible says Satan is like a roaring lion, seeking whom he may devour. Scriptures say that the Devil comes around with one purpose in mind – to kill, steal and destroy. Basically, he doesn’t like Christians very much. To him, the only good Christian is a dead, dying or suffering Christian. Happy Christians really tick him off. Jesus knows this, so he tells us to pray for protection from the Evil One; to recognize the reality of Satan and his hate for us; to recognize our weakness, that we are like dust compared to the Devil; and to recognize that the Devil is dust, compared to God. When we pray to God to deliver us from the Evil One, we are acknowledging that “greater is He that is in us, then he that is in the world (1 John 4:4). That, for me, is a happy thought! Amen! ” ‘Just the way we want it’ is not a bad paraphrase for ‘amen.’ What is needed at the end of this great prayer (Lord’s Prayer) is a ringing affirmation of the goodness of God and God’s world. If your nerves can take it, you might (occasionally?) try “Whoopee!” I imagine God himself will not mind.” Dallas Willard, The Divine Conspiracy. This book has helped me more with having a happy, healthy prayer life than any other I have ever read.